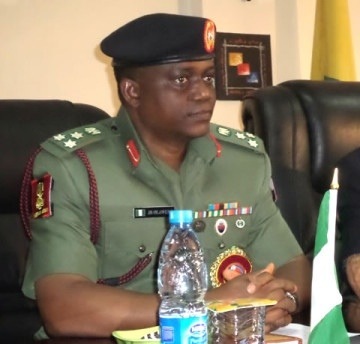 2014 NYSC Presidential Awards To Hold Soon – DG - Corpr! The Director General of the National Youths Service Corps, (NYSC) Brig. General Johnson Oluwumi says the 2014 NYSC presidential award nominees will be announced before the end of the year. The NYSC DG, who announced this while speaking to the NYSC presidential honours award committee in Abuja yesterday, noted that some hitches and gaps between the scheme and the Ministry of Youths Development had been responsible for not giving the award in 2012 and 2013; but with the coming in of Boni Haruna as the minister, there was more assurance and approval for the award to hold. The DG also noted that the vision of the award created in 1974, was to recognise and promote excellence in service among corps members so that they can distinguish themselves in the course of the service year. While responding, the chairman of the committee, Dr Ihenetu Kelvin commended the NYSC for commitment and dedication to the unity of Nigeria through deployment, monitoring, mentoring and moulding of the corps members and pledged to work diligently to come up with a result that would gladden the hearts of all.